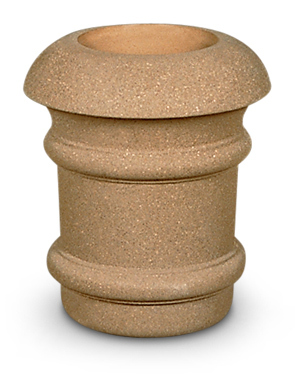 The Aurora Series consists of matching concrete planters, benches, trash receptacles and these cigarette snuffers. Aside from its great looks, providing snuffers for cigarette waste encourages proper disposal and helps maintain a fire-safe ash free environment. 10-4/5" Dia. Snuffer Bowl Opening. Factory treated with water-repellent sealer that will enhance the appearance of the aggregate and help prevent water, salt or dirt penetration. 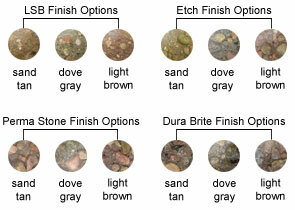 Available in a variety of color and finish options that blend with any outdoor environment.